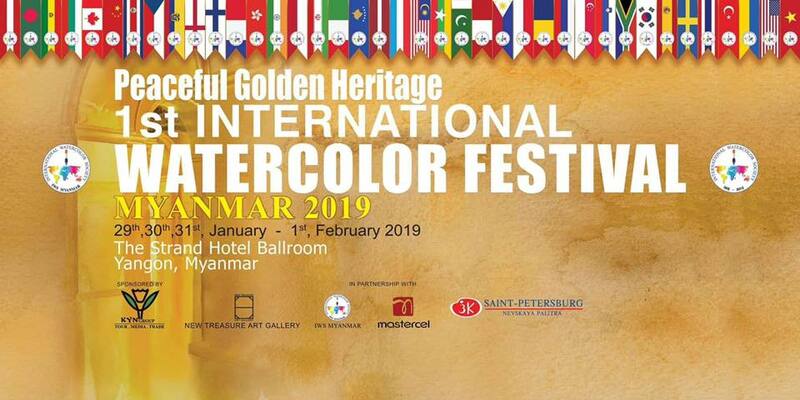 The watercolor artwork of over 260 artists hailing from 31 different countries will be on display at The Strand’s ballroom for this event organized with New Treasure Art Gallery. The work from master watercolor artists who were invited to give a demonstration on the opening day is also on display as well as the 63-meter long combined painting created by about 90 artists over the course of the festival. 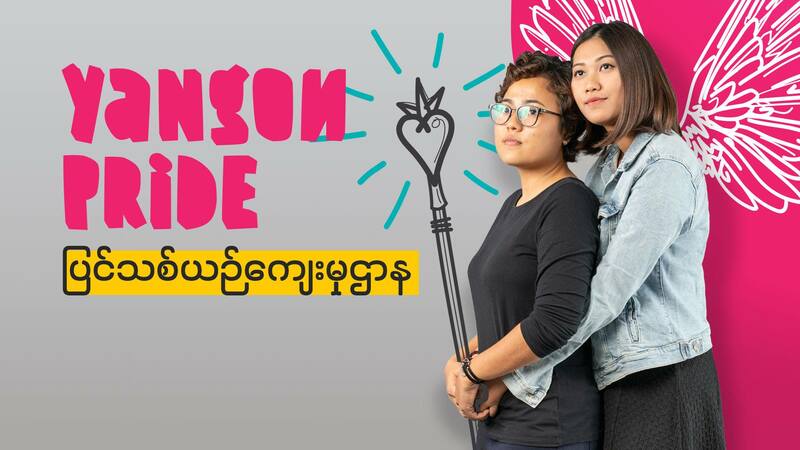 This is the second and final weekend of Yangon’s greatest ever LGBTIQ festival. Head to the French Institute on Friday evening for films and a performance by the LGBT choir. Saturday will see more films plus a debate, a “human library” and performances by the very famous and talented Ar-T and Pangina Heals. Sunday will see more film screenings and a debate followed by a cabaret show by Shwe. If that’s not enough Pride, head to the extra Fab party at Pyrite nightclub on Saturday night. This Friday night is reggae night. 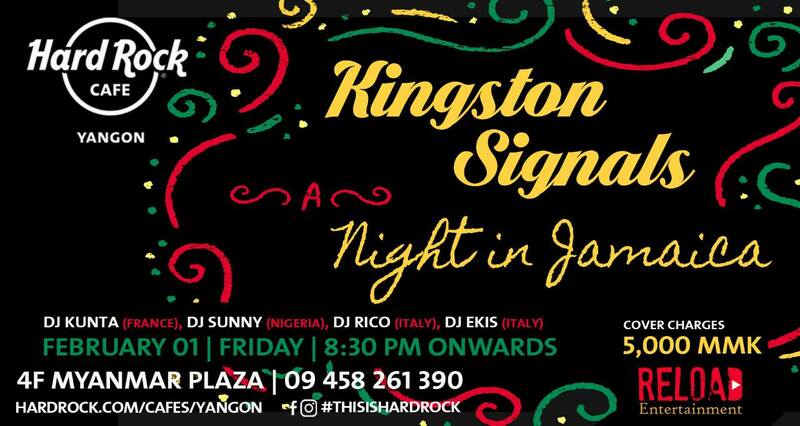 With four international DJs (France, Nigeria, Italy) playing your favorite Jamaican music, you are sure to spend your night dancing, singing and drinking with friends sharing those reggae vibes. Plus, it’s good to know that between 8 p.m. and 10 p.m. Tuborg beer is buy-one-get-one-free. 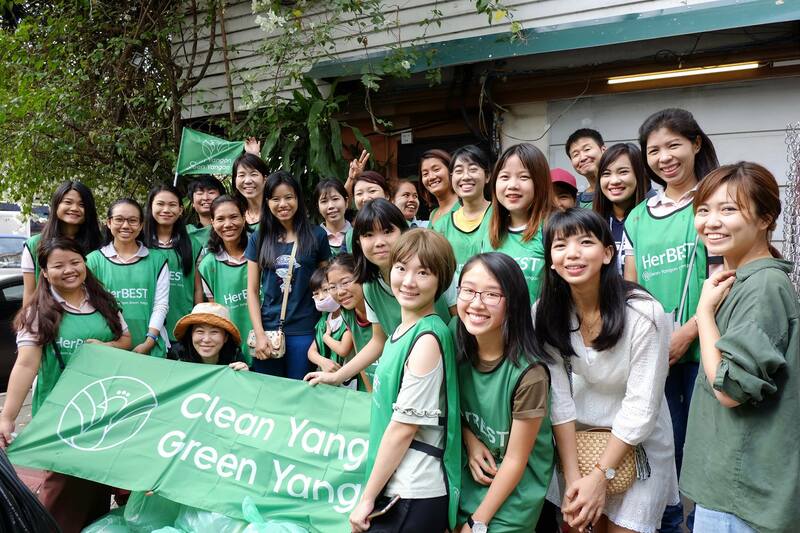 This is the 20th edition of a volunteer movement of like-minded local and international people in Yangon who are taking things into their own hands by coming together to clean the streets. The group will meet outside Craft Café and participants are requested to wear green. Cleaning equipment will be supplied. 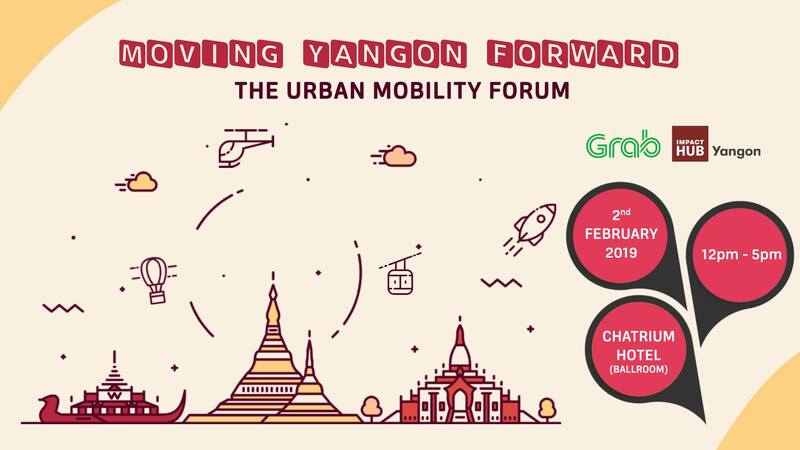 This is an English-language forum about urban movement in Yangon organized by Impact Hub Yangon in conjunction with Grab. A number of informed and connected people will give speeches and take part in panel discussions, including U Maung Aung, secretary of Yangon Region Transport Authority, Daw Moe Moe Lwin, director of Yangon Heritage Trust, Beverley Salmon, the deputy director of Doh Eain and Ces Rondario, the leader of Impact Hub Asia. Yangon residents are invited to participate in discussions and share their views. 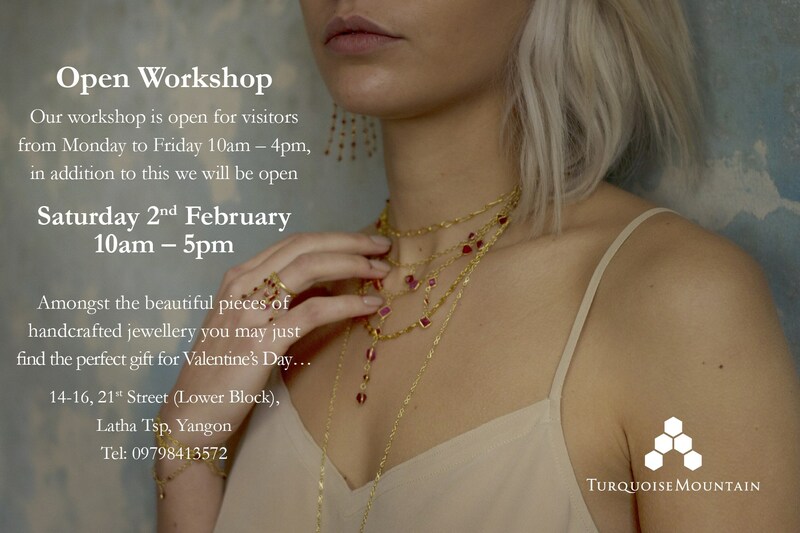 Just in time for Valentine’s Day, Turquoise Mountain will open its workshop to the public for a Saturday session. Turquoise Mountain is a non-government organization which works in Afghanistan and Myanmar to help heritage regeneration and the preservation of traditional crafts. At the Yangon workshop you can see beautiful gold jewelry being made by local artisans as well as textiles and woodwork. Maybe you will even find a gift for someone you love. More that 40 exhibits by artist Phone Maw (Ba Min Din) will be shown over three days. Those interested in Japanese culture and tradition will enjoy this event. 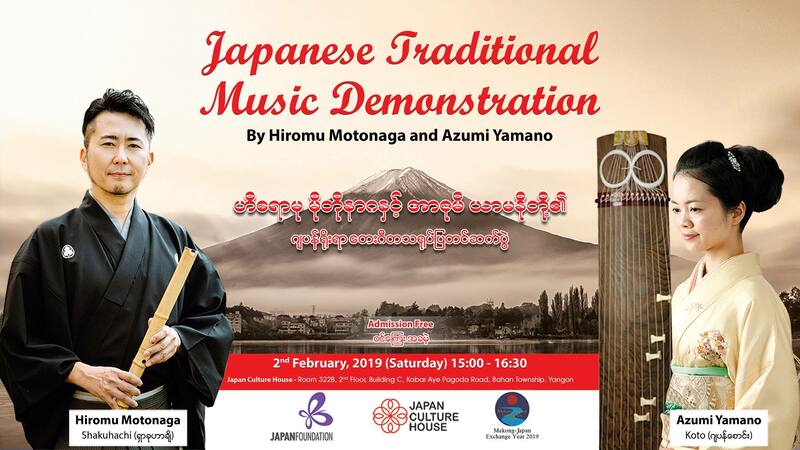 On Saturday afternoon, the Japan Culture House will have two famous Japanese musicians, Hiromu Motonaga and Azumi Yamano, perform traditional Japanese music. Instruments which are unique to Japan will be used and the two musicians will explain a little about the music too. Register to attend this event by sending a message to the Japan Culture House Facebook page. A cap of 30 attendees applies. 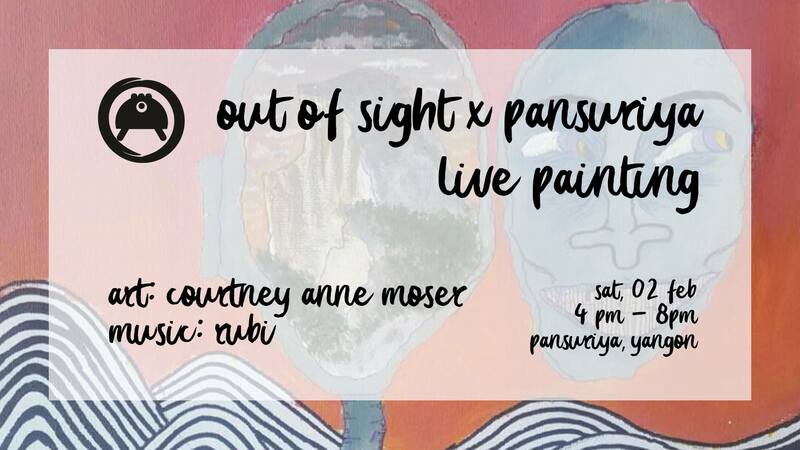 Art and electronic music are set to combine in Pansuriya’s event space this Saturday afternoon. US artist Courtney Anne Mouser will do a live art performance as part of her solo art show on exhibit. The performance will be set to music and all are invited to join in for a drink and a dance. Many parts of Yangon, and especially around the Chinatown area of downtown, will be decorated in red this week to mark the ringing in of the Chinese New Year. 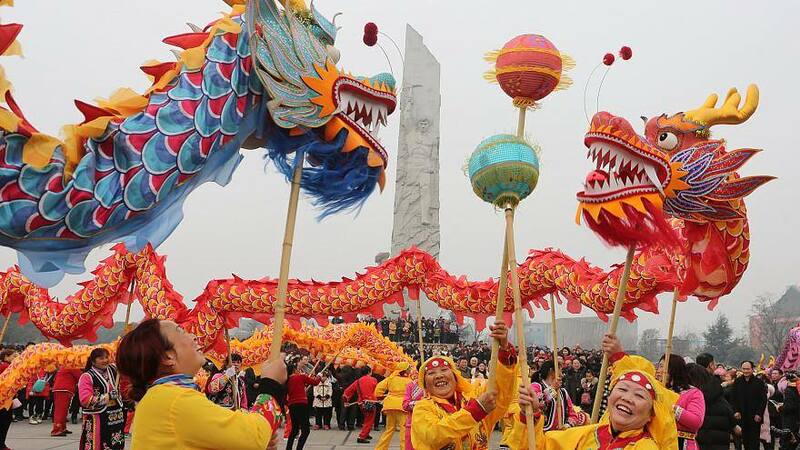 A walk around Chinatown on Monday or Tuesday evening will give you a taste of how vibrant the celebrations are—hanging lanterns, lion dance performances, handing out red envelopes of cash, Chinese temples filled with incense and a lively, joyous atmosphere. Many major hotels, malls and restaurants have special promotions and menus at this time of the year. 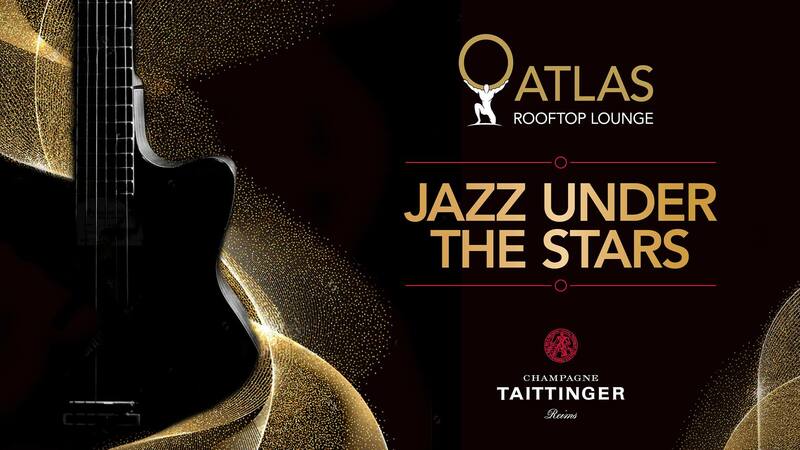 This is a regular event at Atlas Rooftop Bar but it’s always special. This trendy bar has cool breezes from the Yangon River and a stunning night view of the Shwedagon. Yangon’s favorite jazz band, the Bamboo Trio, will play smooth jazz tunes while you relax and chat with friends or colleagues. 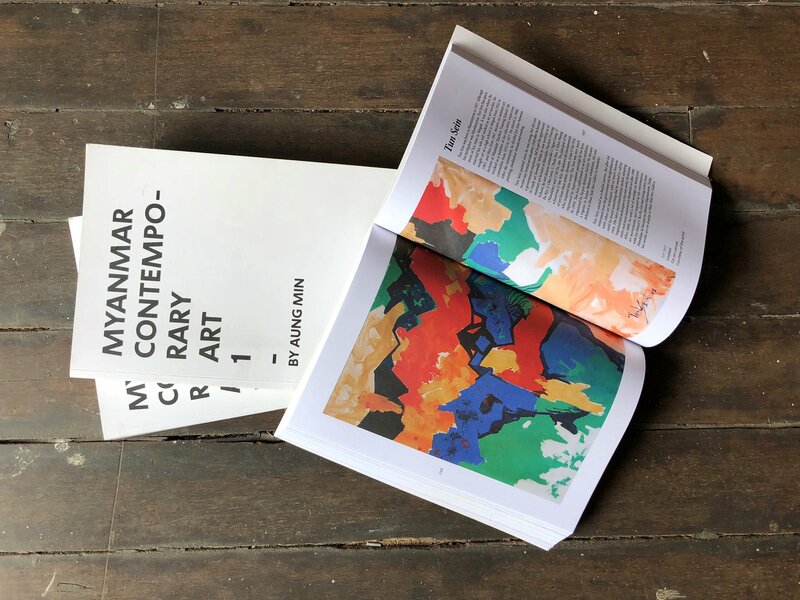 Curator and founder of Myanm/art gallery Nathalie Johnston will give a talk on contemporary art and discuss the recently-translated “Myanmar Contemporary Art 1” by Aung Min. She will discuss the difference between modern and contemporary art in Myanmar and the relationship between multiple generations of artists. Admission to the event is free but attendees must present ID at the entrance. For all the lovers of one of Belgium’s best exports, Hoegaarden white beer, this is an event not to miss. 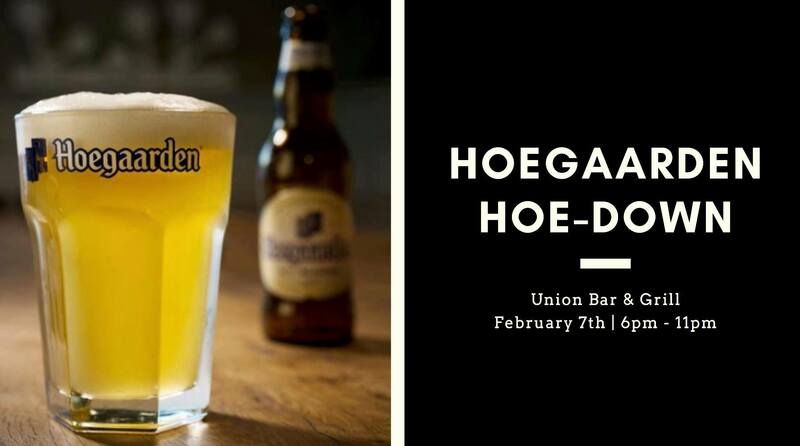 An hour of complimentary free-flow Hoegaarden will take place from 6 p.m. and will be followed up by two-for-one on all orders of Hoegaarden after 7 p.m. Union’s famous live chili cheese station may catch your interest on the evening too.